So here's where things stand: SPX has formed a perfect "potential ABC" down, but bulls will have to hold the zone around Friday's low to make something of that potential. I'm inclined to think this probably is NOT an ABC, just an ABC look-alike -- so that zone probably won't hold, but it's not impossible for SPX to bounce around for a while in the meantime. It's also not impossible that my inclination is wrong, of course, so bears shouldn't get complacent. 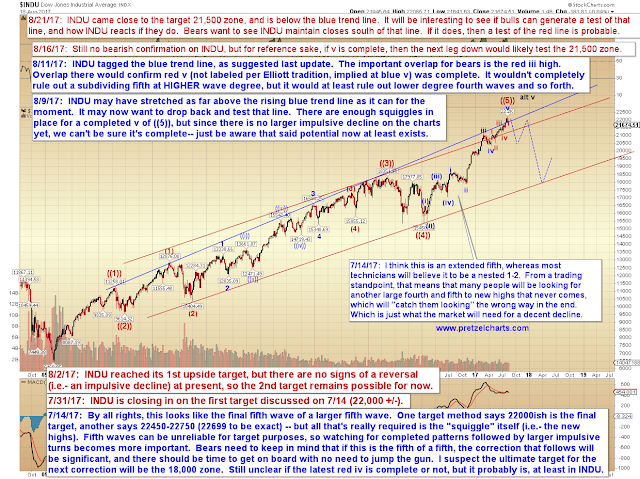 INDU has nearly reached its next downside target... and, at this exact moment, it looks like it's probably going to end up being either a case of either "close enough" or "we'll shoot past it." 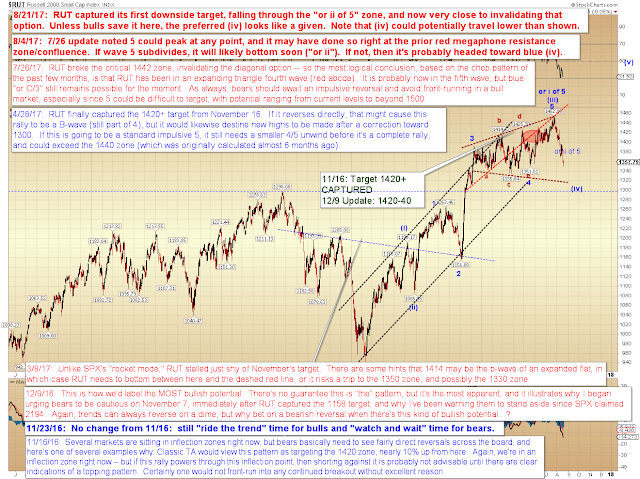 RUT has captured and exceeded its first downside target, which was the "or ii of 5" on the chart below. 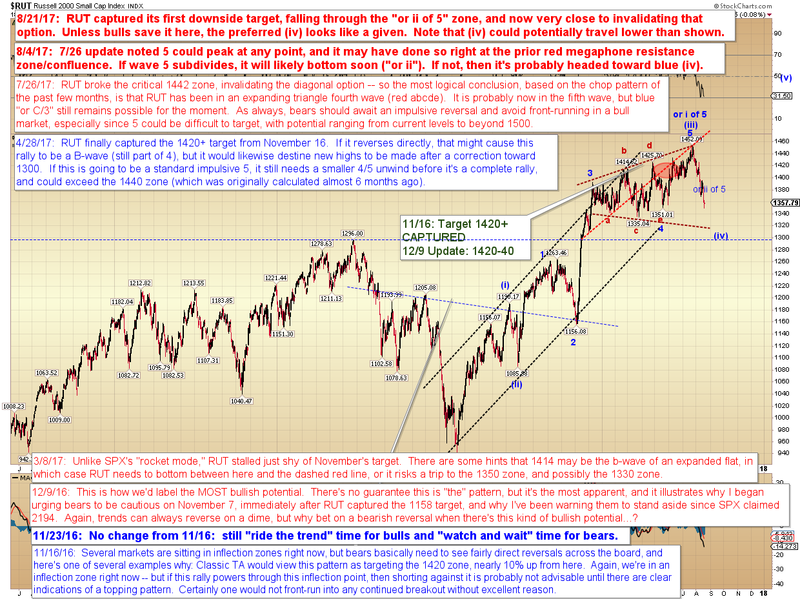 All current indications suggest it's headed toward the blue (iv) target at the bottom of the megaphone, but it hasn't QUITE invalidated "or ii" just yet, though it's very close. In conclusion, if bulls are going to stick-save this monster, they probably have to do so now. 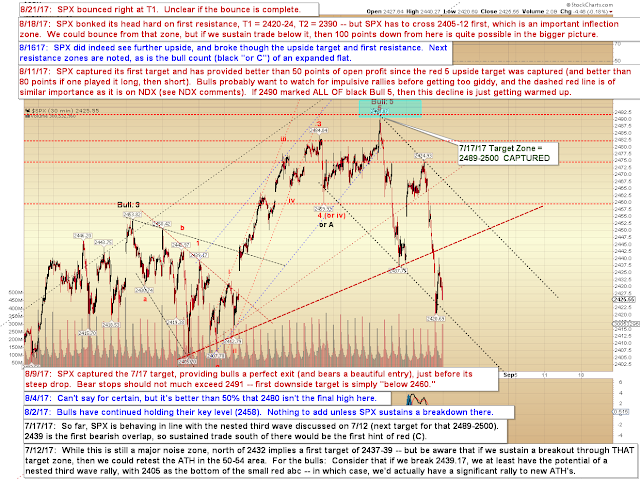 It looks probable that they will ultimately fail in that endeavor, and thus that bears still have the ball -- but nevertheless, it's a good area for bears to avoid complacency. 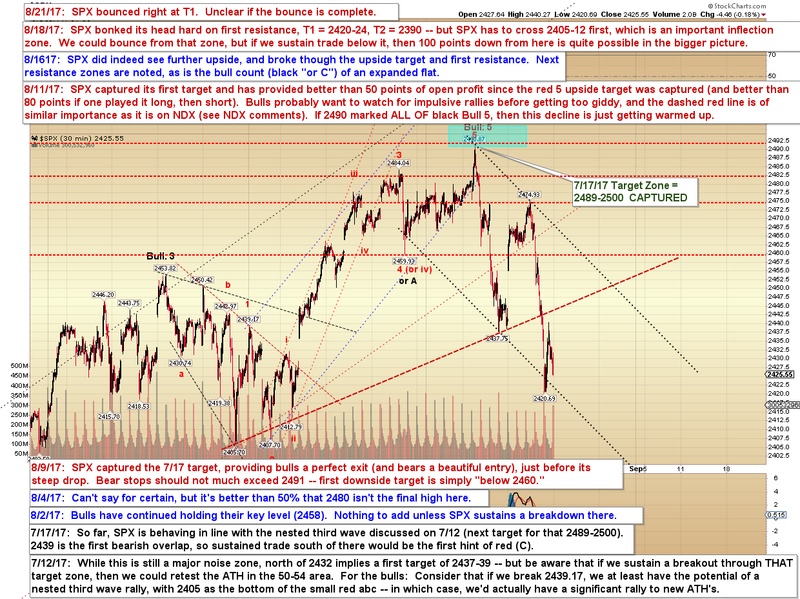 Trade safe.